Figo transferred to us from another vendor with a critical deadline looming. 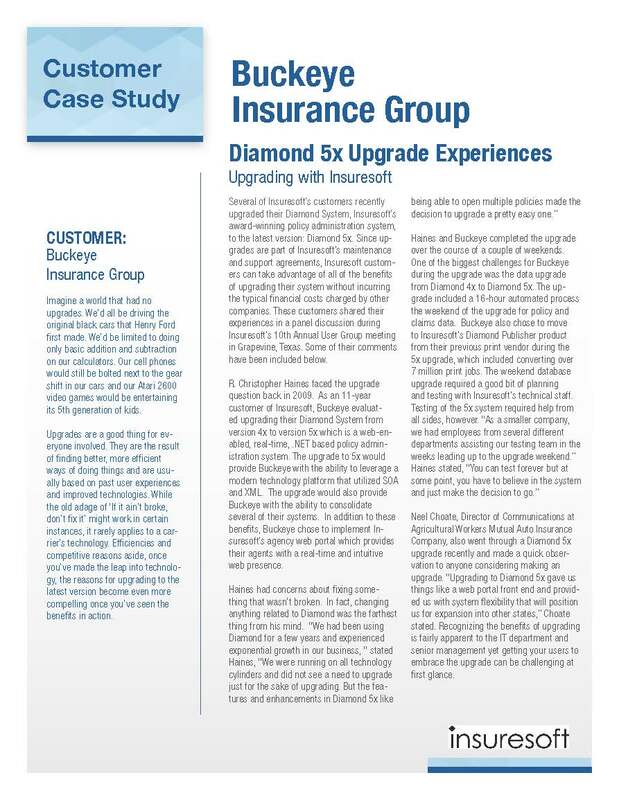 We provided a contract and a statement of work in 30 days, and deployed a test environment in Diamond in 90 days. Our quick delivery and flexibility enabled Figo to launch and begin issuing policies by their target date. Imagine a world that had no upgrades. We'd all be driving the original black cars that Henry Ford first made. We'd be limited to doing only basic addition and subtraction on our calculators. Insuresoft was recently awarded a Novarica Average Customer Experience (ACE) Ranking of 92 - the highest ranking awarded in the Policy Administration System category. "One of the reasons we would never consider going with anyone else is the responsiveness we get from Insuresoft." Michelle Lucas, IT Manager Safeway Property Insurance Company. 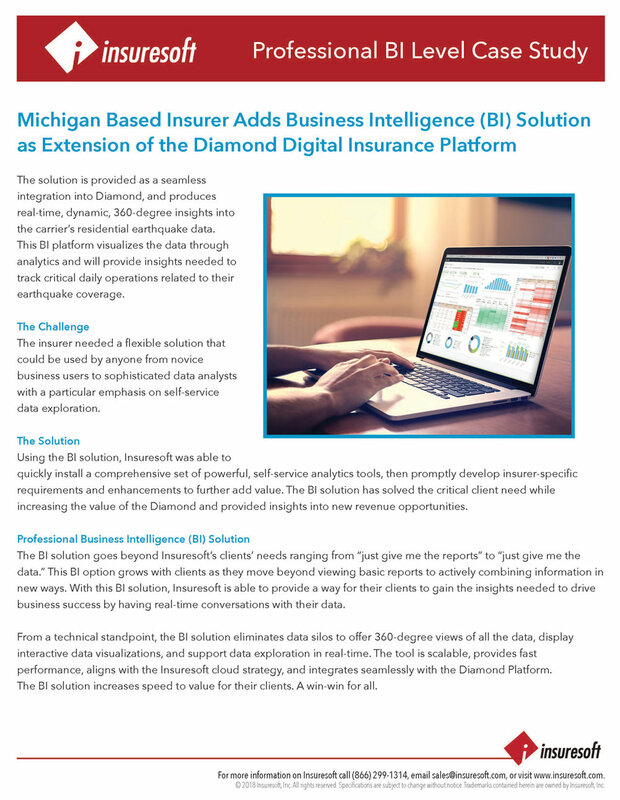 "We evaluated a number of options, but only Insuresoft's Diamond System had all the core processing elements we were looking for." - Kieran Sweeney, Align General Insurance Agency, Inc.